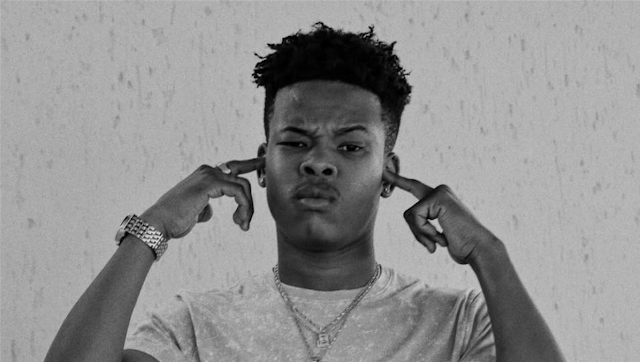 South African rapper Nasty C said he has never personally experienced racism in South Africa during an interview on Sway In The Morning in the US and triggered a few people. Before I get into this let me just get this out of the way; with social media these days, there are people who are just sitting around waiting for a celebrity or anyone to say something so that they can jump on the bandwagon and attack. That is a reality of our time. To say there is bandwagon outrage, I am not negating the fact that people have a human right to challenge publicly expressed views. You say something, regardless of your status or station in society, if we live in a democratic society, that view is open to a challenge. That said, I feel our trigger happy emotions, egged on by the free-for-all access of social media, has somewhat conditioned some of us to divorce ourselves from context and reasonable thinking. Hell, some of it is blatant laziness. As I read posts on social media reacting to Nasty C's racism comments it was very apparent that a lot of people did not even listen to or watch the whole interview he had with Sway. Some people kept on posting that the rapper said there is no racism in South Africa — he did not. Listening to the whole interview the context gives a much more broad perspective on his words than just the fact that he said he has never experienced racism. There is room to debate the fact that our young generation today is oblivious to the injustices of our society than just to jump on to this issue and crucify the young man. Nasty C is 20 years old. He has only been a certified adult for 2 years. Think about that for a second! On top of that, he is coming into his formative years, the post pubescent years, with privilege. Of course his experience of life, and to be specific South African life, is different from many of us. He is living in a world where people interact with him differently because of his position in society as a celebrity or even just a privileged black man. I don't know if he was being completely truthful in saying he has never experienced racism but I am willing to give him the benefit of the doubt with the understanding that he could just be oblivious to the racism or his perception of what racism is is different from mine. Furthermore I was troubled by part of the interview where Sway seemed to jab at this notion that just because Nasty C is from South Africa in Africa he somehow has to be attuned to the cultural history of the country and continent. It is not a completely erroneous expectation to have but it also has a subtle tint of arrogance from Sway being an American. They have had four South African artists on their show and one assumes they have somehow done some research on South Africa — does that lady really think black people in South Africa do not speak English and can possibly only learn it from listening to foreign music? This for me boils down to the issue of ignorance from some black Americans in thinking we Africans are homogenous in our cultural experiences and how we evolve. No, we are not all Kunta Kunte or Shaka Zulu here. We are a continent that has developed with the times. Our youth have embraced globalism and are not beholden to the cultural history of our countries — and there is nothing wrong with that. Many of South African youth do not practice our ancestral traditions just as black Americans or any race or tribe in a developed or developing country are not entrapped in the traditions of the past. So what if a 20 year old has never personally experienced racism before? He is still young. He may just experience it on his first day back in SA. We have to stop imposing our life experiences and expectations on other people and allow people to live. Nasty C specifically said he can not speak for anyone else but himself. That to me shows that he acknowledges that; just because he hasn't experienced it, that does not mean racism doesn't exist or he will never experience it South Africa. Our black South African stars or expats have to be given a change to be themselves and tell their stories because there are two extremes to this South African life experience. The other extreme of this is that you could have someone like Trevor Noah. I like the guy very much but I have found myself on few occasions thinking; come on dude now you milking the apartheid thing a little too much. It seems every other time Trevor does an interview he paints this bleak picture of his upbringing in this country. I swear sometimes you'd think the guy's parents were political activists or he was a student in the 1976 uprising. The guy was born in 84 and was a 90s teenager. Listening to his statements on these American interviews sometimes you'd think the guy grew up being chased by cops asking for his dompas his entire life in this country until he went overseas. He rarely mentions that he was a tv personality in this country for almost 10 years before he became an international star. All I am saying is that Nasty C went out there and told his experience of this country as a 20 year old. He never refuted the existence of racism nor did he minimise the seriousness of the problem in any way. Give the guy a break!! South Africa is not this desolate place plagued by disease and racism — and we should not allow anyone to perpetuate that stereotype.